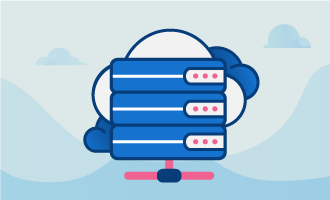 Data storage is increasingly important for businesses and organizations of all types, and using individual disk configurations in your dedicated server as most people do at home is an open invitation for disaster. It is a simple fact that hard disks can fail without notice, causing an irretrievable loss of pertinent data and a disruption in the functionality of key programs and applications. For a business, this can mean a hefty loss in sales and a damaged reputation that can take years to rebuild. Fortunately, a storage scheme is available for your dedicated server hosting that can reduce the likelihood of disk failure by using multiple drives in a configuration called a redundant array of independent disks (RAID). One of the greatest features of RAID, and one of the reasons why it remains so popular with leading businesses, is its simplicity. Data can be saved and retrieved quickly and efficiently, and most users are not even aware that RAID storage is in place. However, it must be noted that RAID is not a backup solution for your dedicated server. Instead, it should be considered an extra layer of protection used in your dedicated server to minimize downtime. Because various organizations and systems have different requirements for data storage, RAID can be configured in several ways, and each configuration is represented by a level. The most common RAID levels used today are RAID 0, RAID 1, RAID 5 and RAID 10. 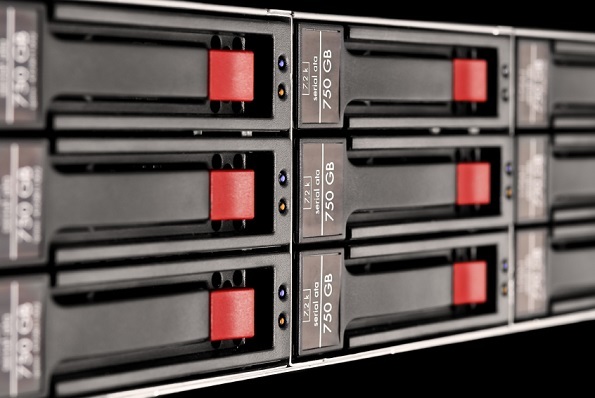 RAID 0, also known as block-level striping without parity or mirroring, does little in the way of protecting data through redundancy, but it does greatly increase HDD performance. In RAID 0, data is fragmented into small units and saved across multiple HDDs as if they were a single disk. This configuration is very useful for those who work with large files, such as video editors. With RAID 1, mirroring without parity or striping, data is written identically on two different HDDs to produce a mirrored set of files. When read requests are sent to the system, the drive with the lowest seek time and rotational latency is used to increase performance. When writing files, however, speed is limited to the slower of the two drives. More than two drives can be used with RAID 1, and data remains accessible should one of the drives fail. RAID 5, also known as block-level striping with distributed parity, is one of the most commonly used RAID configurations, but it requires a minimum of three drives. This allows for multiple disks to be used as a larger logical disk while providing a system to recover data should one of the drives fail. However, the total size of the logical disk will not include one HDD because it will be used to hold the distributed parity information. If one of the disks should fail, reading and writing will still occur, effectively masking the failure from the end user. RAID 10 is often referred to as RAID 1+0, mirroring and striping. In this configuration, data is written across several primary disks that are mirrored to a set of secondary disks. This solution is what offer the best overall storage experience since it will provide dedicated server with speed and extra redundancy. RAID 10 requires a minimum of four drives. RAID is a very effective system of data storage, and its various configurations make it flexible for different users and requirements. Through RAID, data can be accessed faster than through individual disks while reducing the risk of data loss from drive failure. However, this benefit should be considered to be an added layer of security as it is not meant to replace regular data backups on your dedicated server. Contact our sales team if you have any further questions on RAID’s and how it can help your business.